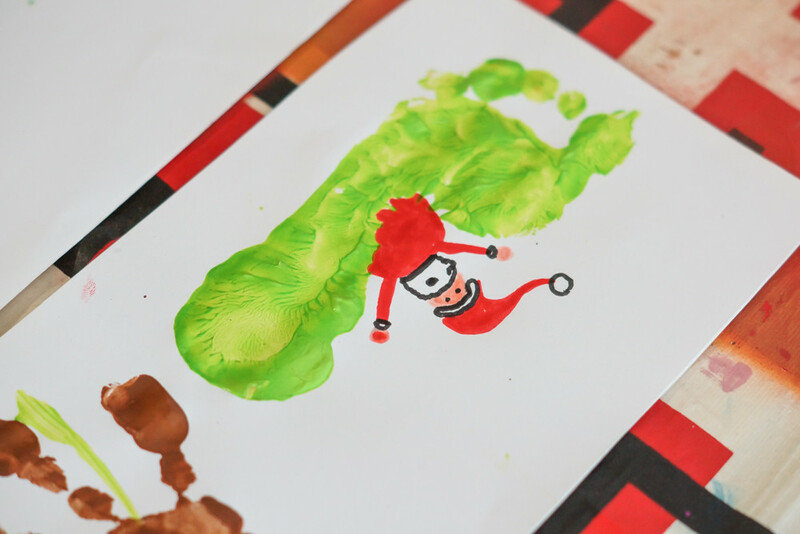 A great sensory activity to put you in the Christmas spirit, don't you love it ? 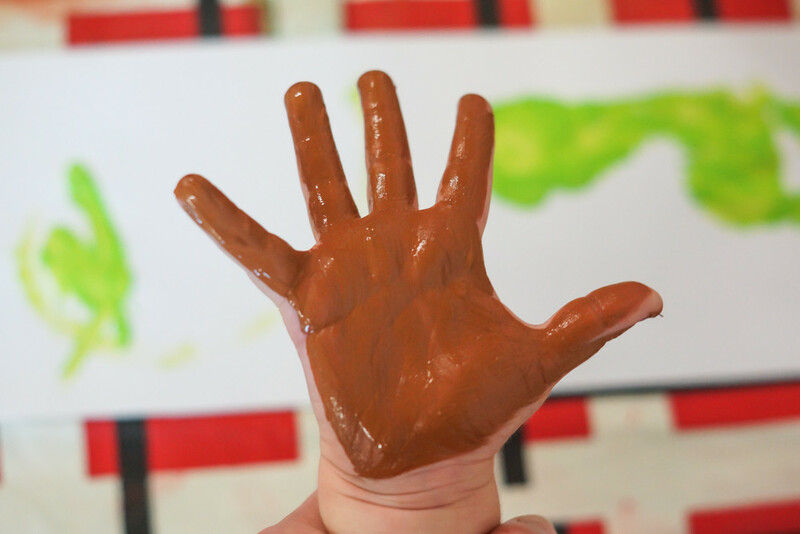 Easy and fun to do with young children. Let the Christmas Season begin ! 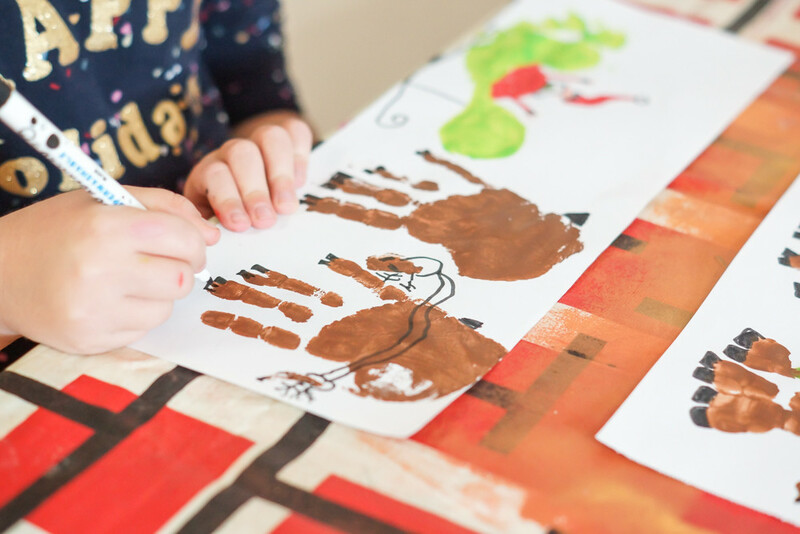 I am such a huge fan of the Holiday season, it is the perfect time to settle down and do some good kids crafts. I believe Christmas is the time where I get my babies to craft the most and they love it. So here we go ! 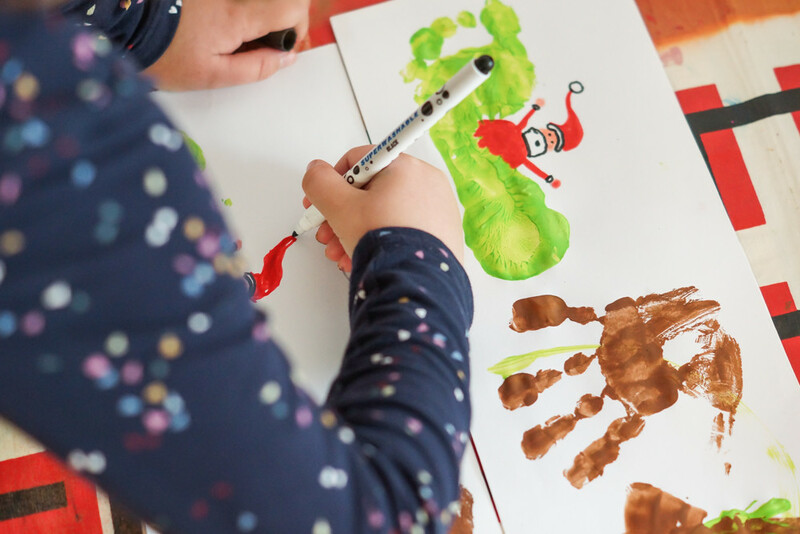 All along this coming month I am going to show you a collection of Christmas crafts ideas that you can enjoy with your kids. This will keep them busy until Santa’s arrival. 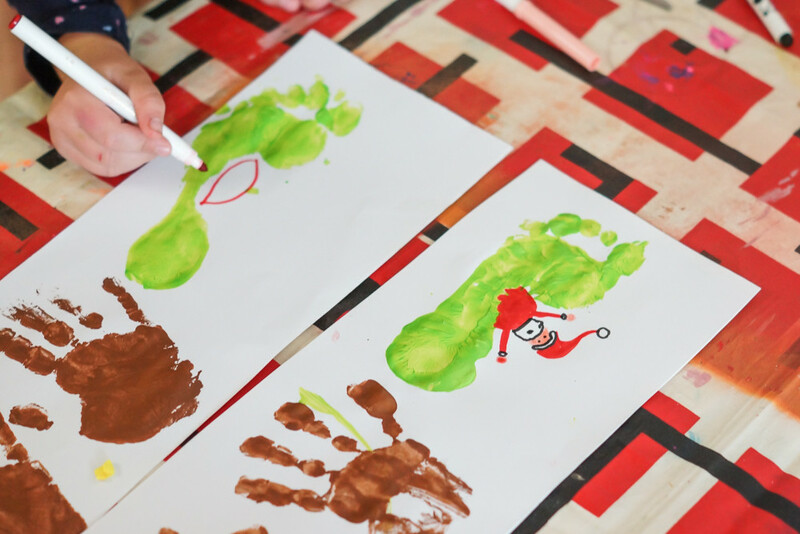 Today we will make Santa’s sleigh with our hand and footprints. Your kids are going to love it! A washbasin or wipes to clean hands and feet. 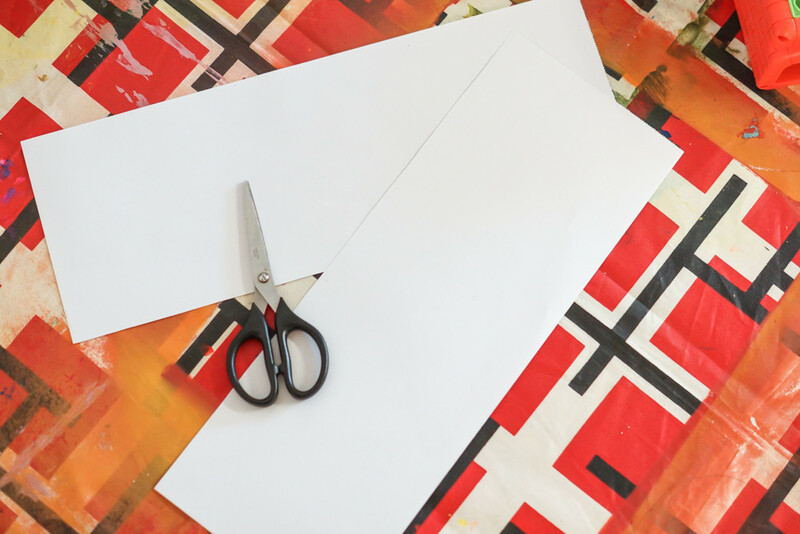 To start, cut an A3 sheet in half to create two strips. Then, (the kids favourite moment !) 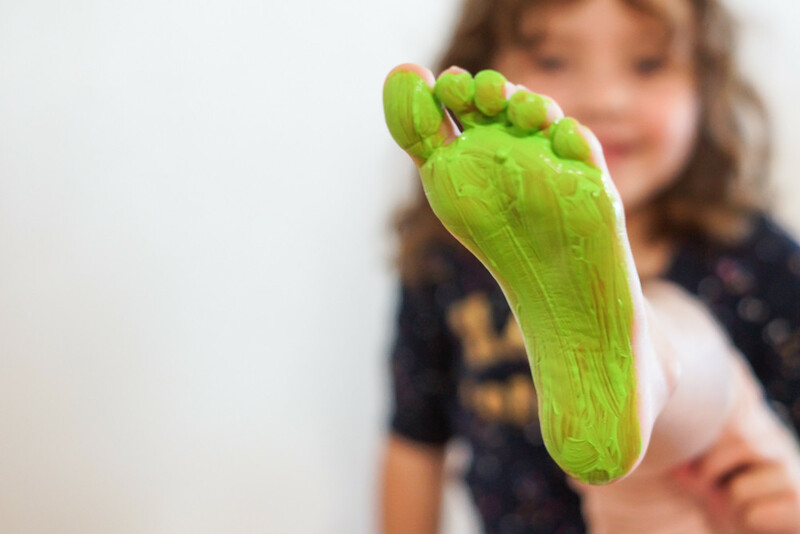 paint green the sole of their left foot. 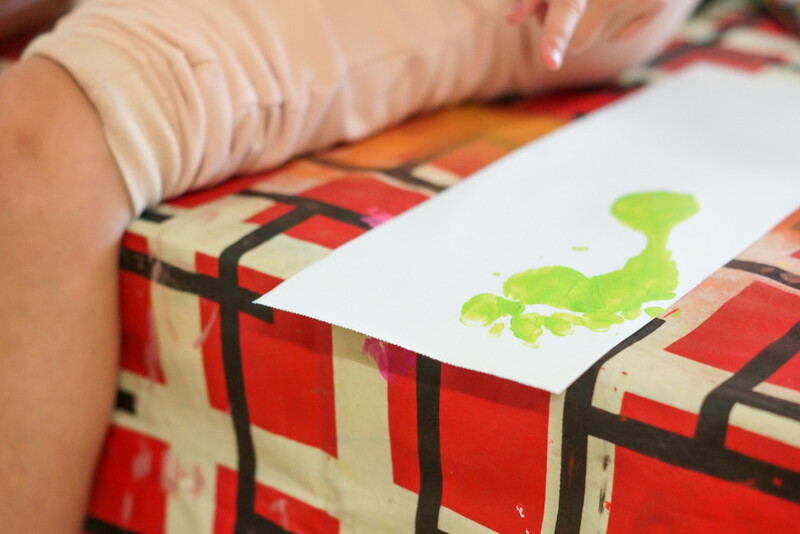 Press the green footprint in the lower left of the paper with the toes facing to the left, the big thumb is up (cf picture). We have our sled. 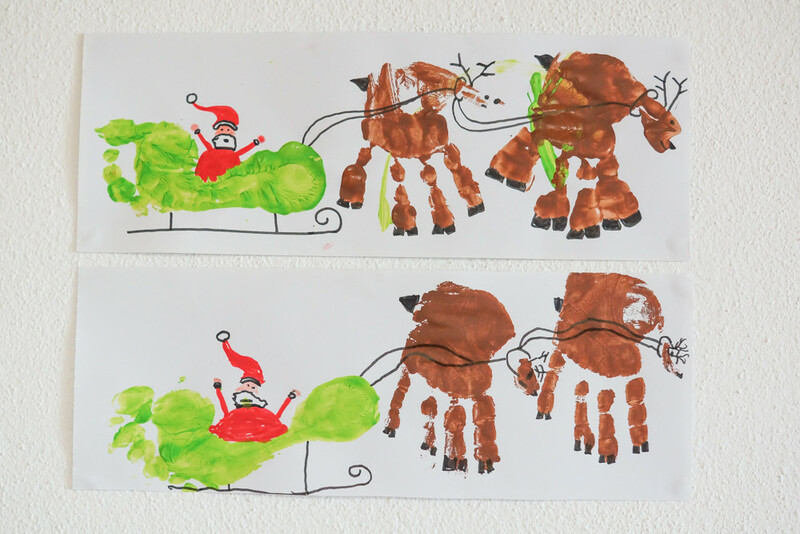 Now it is time to use the right hand to create Santa’s reindeers. 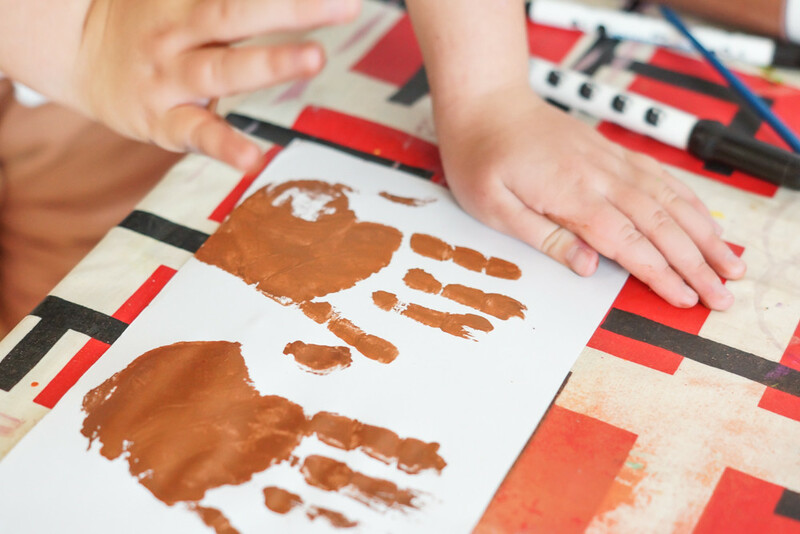 Press two brown handprints onto the paper (cf picture). Let all the prints dry before proceeding to the next step. 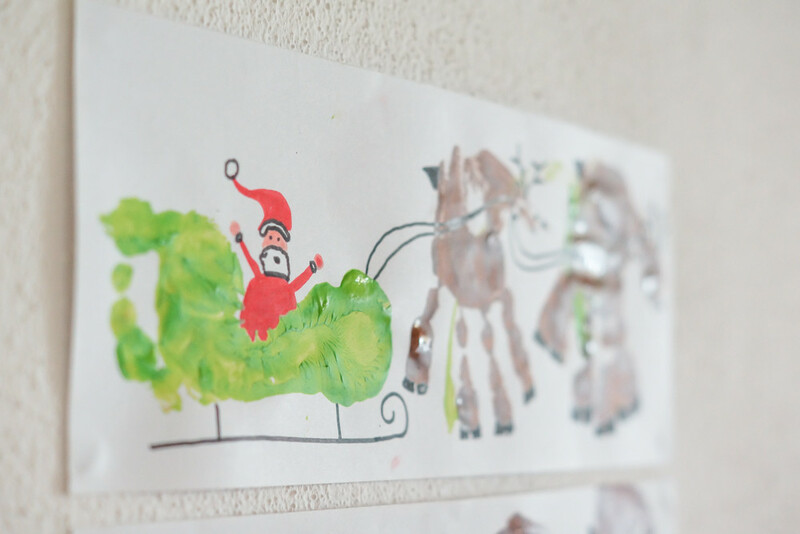 Once the prints are dry, it is time for your children to draw Santa. I made a model for my daughter to reproduce. Finally, we can draw the reindeers and sled details. 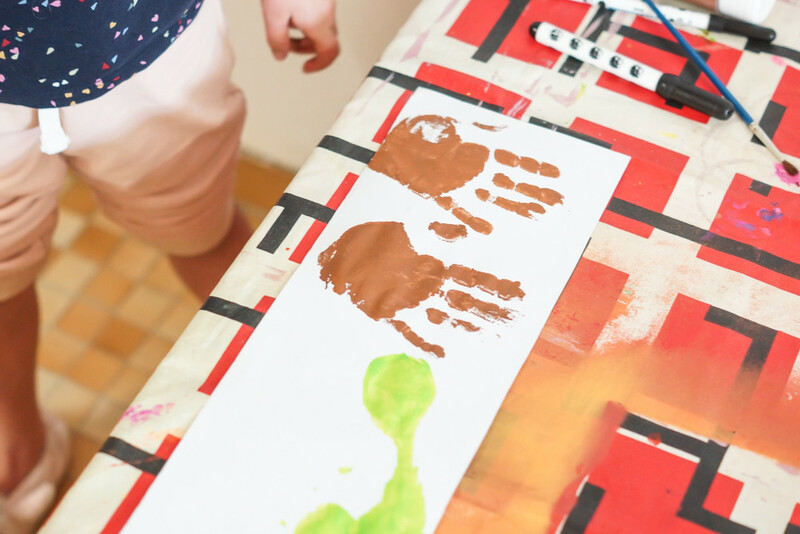 A beautiful craft that your children will love making, especially when it is time to put their hands in paint. 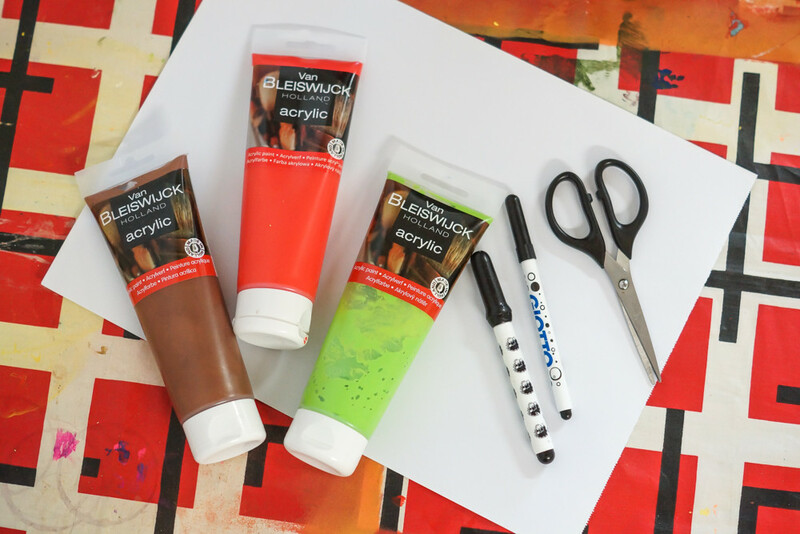 We can’t wait to see your creations ! See you soon with a new Christmas activity !